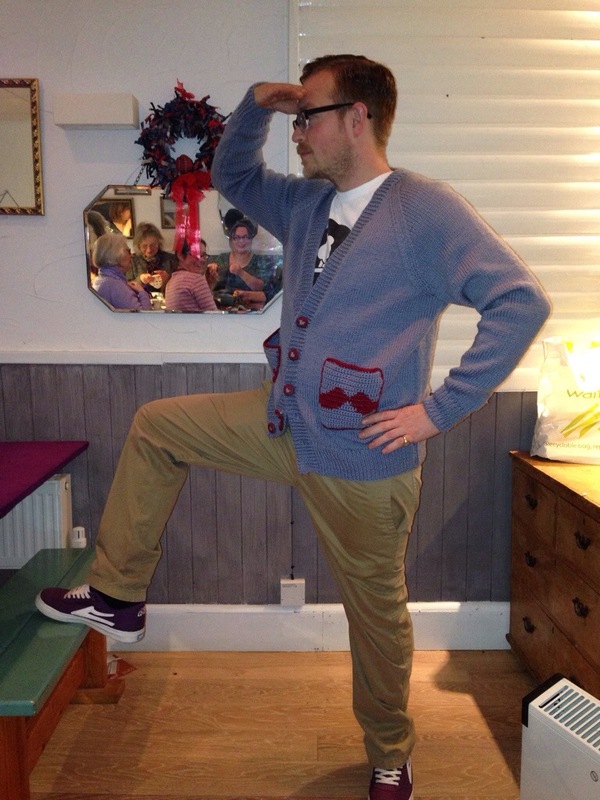 Handmade / Movember cardi model! I realise I never posted a picture of the winner of the Chain Gang’s moustache-themed cardigan, which we knitted in aid of Movember. We sold raffle tickets throughout November, and raised about £200, how great is that?